At Quick Hair, to ensure the best results, we only apply the latest technology and treatment methods to provide non-surgical hair loss treatments in a professional & ethical environment. We are one of the first clinics to use SMP (Scalp Micropigmenation) procedure and laser hair loss therapy to treat various causes of hair loss for both men and women, and are honored to have the greatest number of satisfied patients in the Greater Toronto Area. Over the past 14 years, we have continuously researched the most effective solutions for our patients. If cosmetic hair loss is a concern, we have the best treatment options for you. Founded by Nancy Qiu in 2001, Nancy already had a background in medical esthetics, and a pure and honest desire to want to help others. She broadened her expertise to include medical scalp esthetics and QuickHair was born. What began as a small outfit has expanded to include three locations as well as the addition of QuickHair under the Q Esthetics umbrella, a division specializing purely in scalp micropigmentation. Toronto is fast becoming a major center of scalp micropigmentation treatments. QuickHair is at the heart of this growth, as one of the first companies in Toronto to offer SMP, and their results look very promising so far. The number of places you can go in Toronto for SMP is growing rapidly. 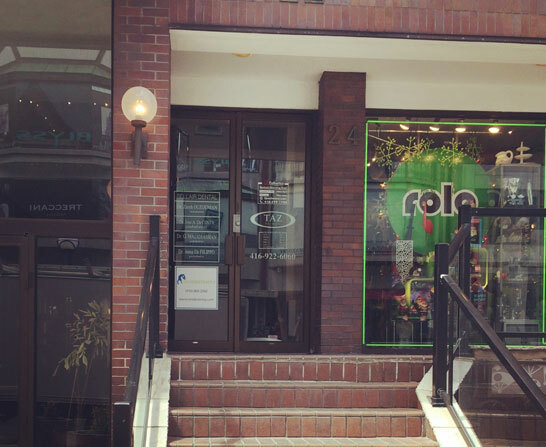 Many leading providers like HIS Hair Clinic and Scalp Aesthetics now have locations in the city, and the market is therefore becoming increasingly competitive. So how does a company like QuickHair differentiate itself amidst some strong competitors. The answer lies in the professional medical environment you will find at each QuickHair location. 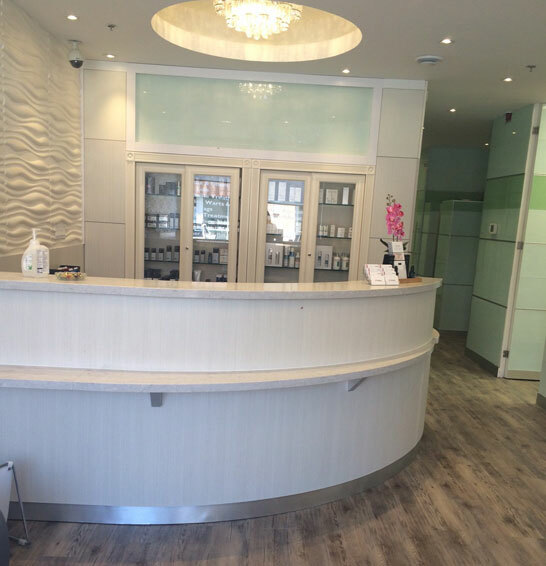 Whilst other providers offer an informal, salon-like feel to their clinics (and that is not necessarily a bad thing), Q Esthetics locations look and feel much more like doctors offices, with a strong focus on cleanliness and hygiene, just as you would expect to find in any private medical facility. QuickHair technicians are also exceptionally well trained. Offering a much broader range of cosmetic enhancement services than your standard SMP clinic, their staff possess knowledge beyond hair replication alone. For clients seeking to enhance their appearance with a younger looking and more natural hairline, their highly trained specialists can discuss the right hair loss treatments and products for their specific needs, including scalp micropigmentation. Camouflaging scars is a major focus and speciality of QuickHair. They have been specializing in scar revisions for years using micropigmentation to help conceal the appearance of scars caused by infections, burns, surgeries, or injuries. Although we’re talking body scars here, this experience made the transition into scalp scars a natural one. The company is therefore highly adept at hiding scars caused by hair transplant surgery, scalp reduction surgery and even neurosurgery. Word of mouth: Early on, we were lucky to have a lot of happy clients who really helped create a buzz and get the word out by sharing their experiences with friends & family and before we knew it their friends and family began to seek us out as clients and then they were telling their friends and so on and so forth. The inquiries for scar revisions of the scalp began, and continued to build this way. We knew at an early stage that we needed to find the best possible solution for our clients which led us into the world of scalp micropigmentation. We could not be happier with the results we’ve been able to achieve for our clients. For most people its life changing; it changes their confidence in a big way and to play even a small part in that is truly rewarding. Whilst most scalp micropigmentation providers focus almost exclusively on men (with a few notable exceptions such as Hair Ink), QuickHair identified a need for a service targeted at women too. Although the pattern of hair loss experienced by women is generally different to men, usually lost in a diffuse pattern rather than localized thinning and recession, the loss of hair can be just as traumatic, even more so for women, one might argue. Scalp micropigmentation, if applied correctly, can be beneficial for women too, and QuickHair are pleased to offer treatments for both men and women.